Damn fine Citrus and Honey vodka. Distilled from scratch – a very rare thing ! Notes: This is one a the very few (read damn few) vodkas that is actually produced by a small distiller. Not bought in bulk (by the tank truck or railroad tank car) and relabeled like a lot of vodka these days or redistilled (rectified) then bottled by by someone trying to look like a small distiller. These people buy local Wisconsin wheat that they hand-inspect, do their own mashing (preparing and fermenting the grain), then distill the resulting product in small copper pot stills rather than the industry standard column stills. This is a insanely labor and cost-intensive process. Unlike most vodka producers, they buy their grain and ferment it themselves in small batches,distill it and bottle it so that it ensures quality and consistency from the grain to the bottling. Most of the other vodkas (in Russia and America) buy bulk ethanol, tweak it, and add water. To further complicate their lives they use only natural honey derived from alfalfa basswood and clover, plus real lemons and citrus. Not a bunch of chemical equivalents, essences or candy tasting crap that most other vodka producers use to produce their candied, mass produced dross. First Impression: Heavy lemon oil scents, backstopped with the bouquet of honey and wheat. No off smells,candy scents, or cloying chemicals just full, natural, scents of lemon, citrus and good honey. Alcohol is nicely aromatic, but very much in background. Taste: Nicely, but not overly done. Balanced with the discrete but tasteful scents and deftly nuanced. Very refreshing! Drinks: A very versatile flavoring agent or or even a base for a cocktail(something I normally wouldn’t think of for a flavored vodka – but it’s that good). Great lemon/citrus without being overly sweet; leaves a lot of room for innovation or improvisation. There is a whole vista of possibility for new drinks using this vodka. It would easily replace several overly sweet liquors and make iother citrus vodkas taste like furniture polish (O.K. That’s not hard to do, but. . .). 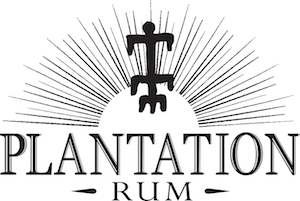 They manage to capture lightning in a bottle – and make it taste good. Cigars: Something mild and smooth, Rocky Patel or Davidoff, natural or shade wrapper. Bottle: Tall cylindrical clear glass bottle with longish neck and black neckwrap. Minimalist, almost machine-age graphics, with a smoke tint to the silkscreened label. Somewhat distinctive and easy-to-spot, makes it easy to find on a store of bar shelf. Black neckwrap. 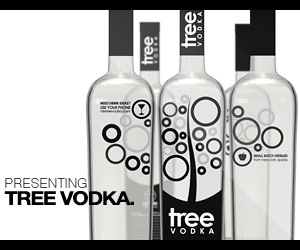 Final Thoughts: As with their basic unflavored vodka, their efforts are first rate. The flavors are natural tasting, balanced and not overdone. Subtle, flavorful, and full of potential. One of the best citrus or honey vodkas we have had (and that is saying a lot). Combined ,this is a excellent vodka that could be a very useful addition to the bar of anyone who takes their vodka and their cocktails seriously. Fast-loading, nicely done, modish website. Decent amount of information on it.